The precipitous loss of Arctic sea ice has far outpaced expert predictions. 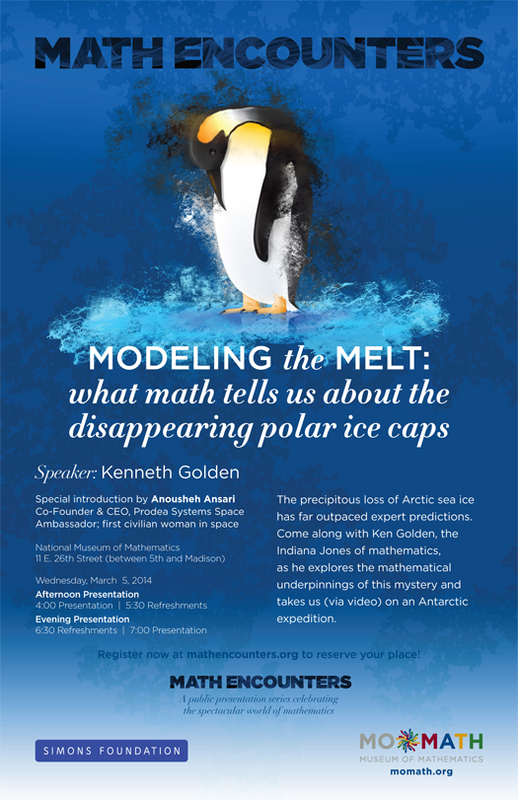 Come along with Ken Golden, the Indiana Jones of mathematics, as he explores the mathematical underpinnings of this mystery and takes us (via video) on an Antarctic expedition. Ken will be introduced by Richard Garriott de Cayeux, video game developer, entrepreneur, and space traveler.